Yes, you can. Whether from the smartphone of your partner or your neighbour: A user's Keyring is usable from any smartphone. 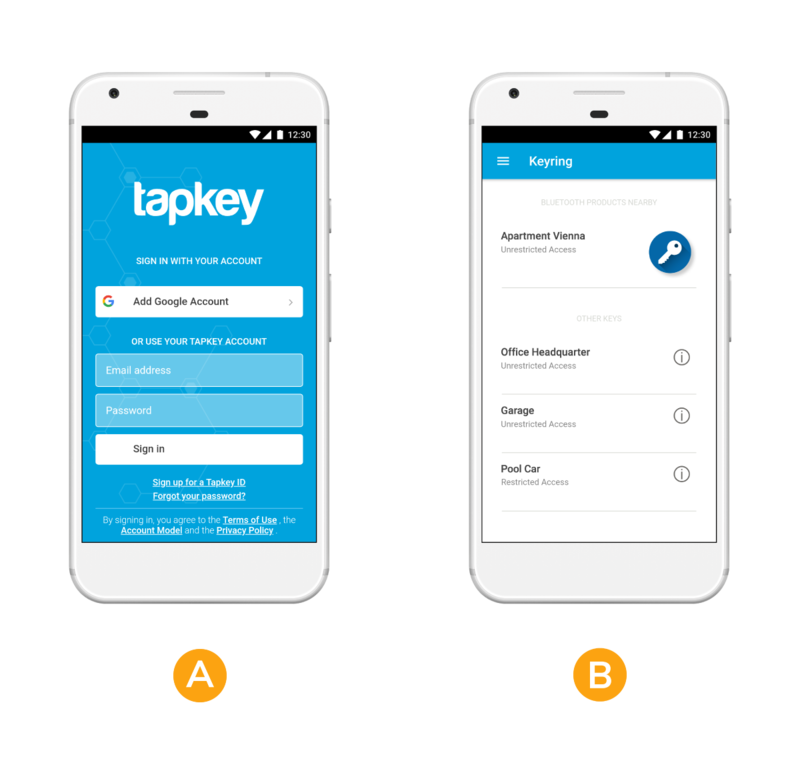 You just have to log in on any smartphone with your Digital ID (A) and afterwards you can immediately unlock doors with your personal Keyring (B).